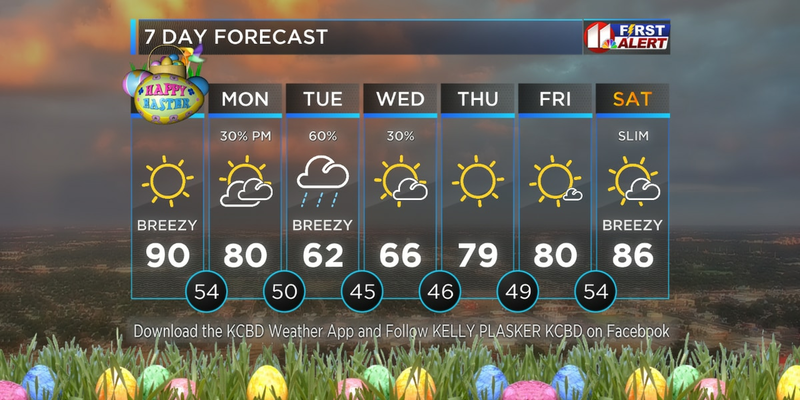 LUBBOCK, TX (KCBD) - A FIRE WEATHER WATCH has been posted Monday afternoon and evening for areas near Friona, Muleshoe, Tulia, Kress, Silverton, Littlefield, Plainview, Morton, Levelland, Denver City and Plains. Other than a few high clouds, skies remain clear across the South Plains with low temperatures in the middle 40’s. Southwest winds continue at 10 to 20 mph. 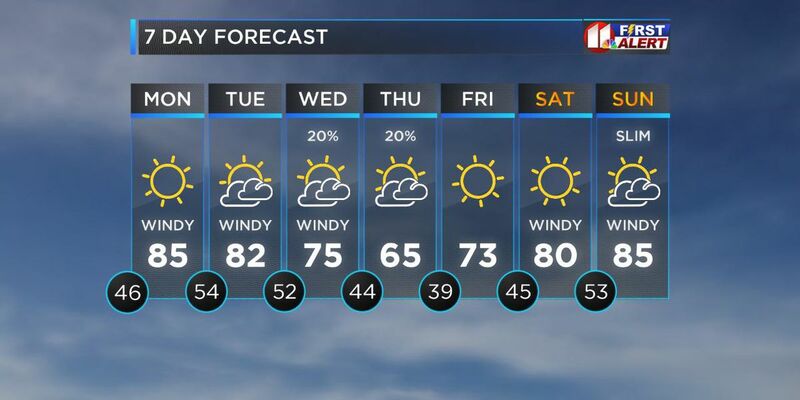 Mostly sunny skies are in the forecast Monday. It will be much warmer with daytime highs in the lower to middle 80’s. Southwest winds increase to 15 to 25 mph with gusts up to 40 mph possible across our western counties. This will combine with low humidity values of 10 to 15 percent to produce high fire dangers Monday afternoon. 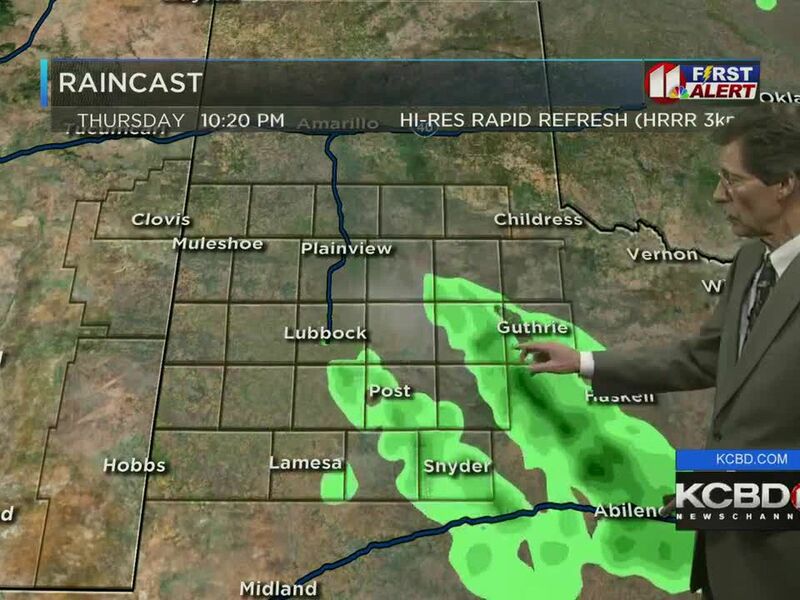 This favors the Northwestern South Plains where little precipitation was observed over the weekend. 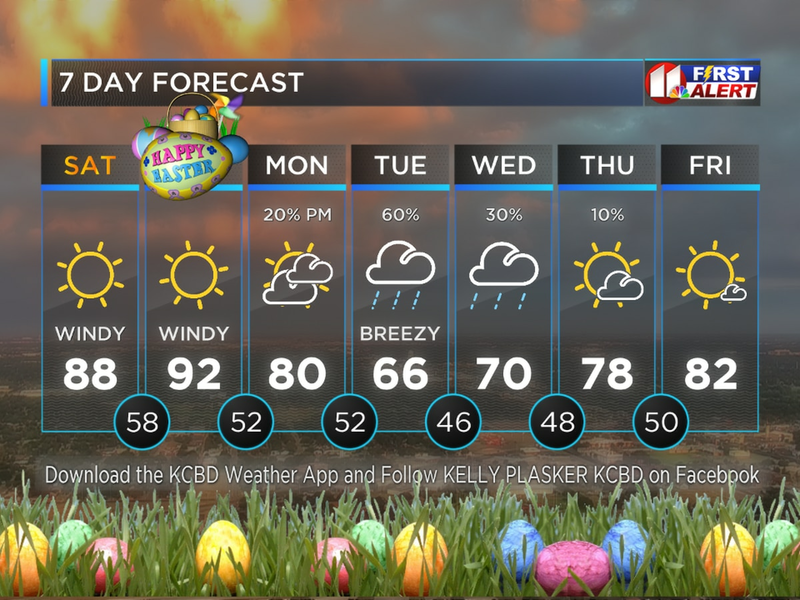 Any fires that develop could spread rapidly across the western and northwestern South Plains Monday. This pattern may repeat itself on Tuesday with highs in the middle 80’s. A few showers and thunderstorms are possible Wednesday with our next cold front. A dryline may also trigger storm activity, especially east of Lubbock. It will turn cooler Wednesday night and Thursday.